Drew Canole, the founder of FitLife TV and Organifi joins us today to discuss his new book, You Be You, training under a shaman, and of course why he created Organifi. In this brief yet deep episode, Ben and Drew dive into how to detoxify your life, overcome your limiting beliefs and own your awesome! 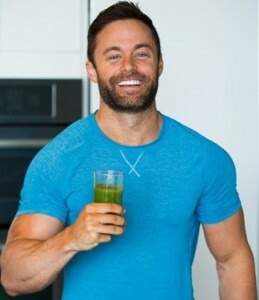 We also talk about Drew’s amazing juice products from Organifi and how they formulated each one to naturally support detox, energy and even sleep. You can use code MuscleIntelligence on organifi.com to get 20 percent off of your order with our new sponsor. 1:00- You Be You, Drew’s new book on detoxing your life, crushing your limitations and owning your awesome. 5:30- Where Drew came from and how he started crushing it. 9:45- In order for there to be a next you must complete something first. How to follow through on what you say you are going to do. 17:00- Why Drew decided to start a superfood company. 21:45- Drew’s daily work with a shaman. 25:15- Giving away your seniority. Why we give away our humanity more and more as we go through life. 28:30- Drew’s advice for living your greatest life. Start with optimizing your physical body, then move to your spiritual body. 30:00- How Drew feeds his spiritual body with a daily meditation practice. 35:00- Beyond greens, Organifi red and gold juice and what they are formulated for.